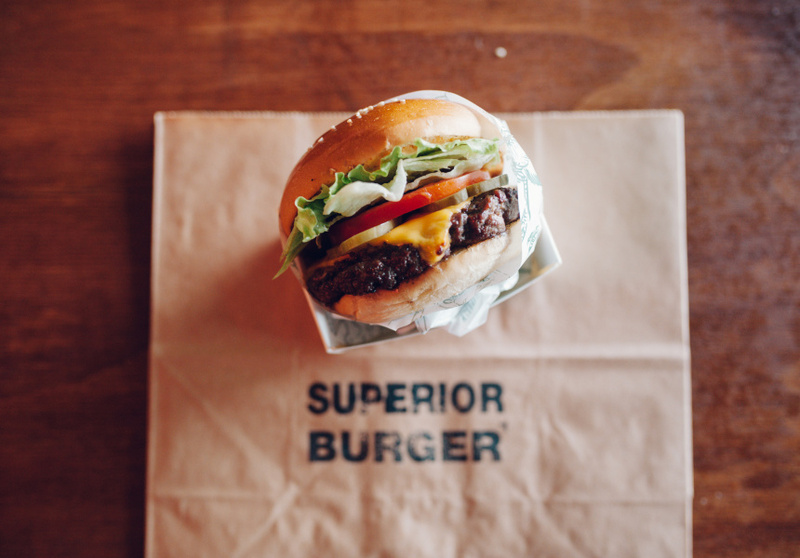 Thoughtfully sourced produce takes centre stage at Jovan Curic’s (Pub Life Kitchen Superior Burger. Behind the façade of a regular-looking takeaway shop, you’ll find locally grown vegetables, organic eggs, house-made sauces and dry-aged Hunter Valley beef. Curic grew up nearby, in Carramar. He wanted to reference the former takeaway and convenience-store site, so he kept its 1970s wood-panelled walls and brick bar. The only changes are a purple and yellow neon sign promising the “Best Burgers in the West” and a large photographic mural of the free-range, black-Angus cattle used in the burgers. Choices include a classic beef burger with beetroot, tomato, caramelised onion, lettuce and a house-made, smoked-barbeque sauce. There’s also a cheeseburger and a chicken burger. Sides include hot-n-sticky chicken wings; old-school beer-battered potato scallops; buttery mash and gravy; and the obligatory fries. 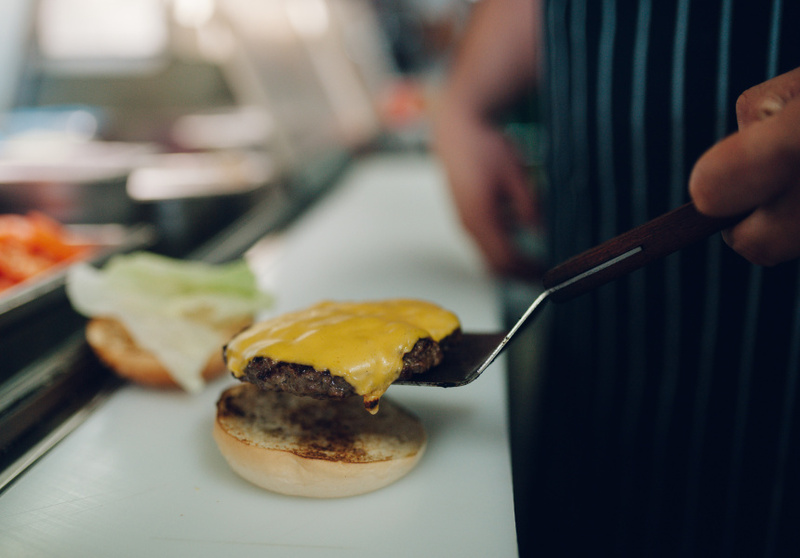 The burger patties are made daily by Curic’s father, who opened the first burger shop in Belgrade, Serbia in the ’70s. He’s spent his entire life working in the industry. The shop also gas a soft-serve machine, ice-cream sandwiches, milkshakes and strangely, Coors beer on tap.